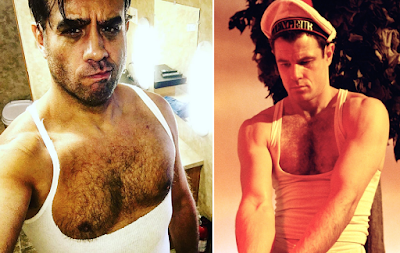 Labels: Bobby Cannavale, Brad Davis, gratuitous, Rainer Werner Fassbinder, Who Wore It Best? That is one tough decision. They are both extremely hot men who make the tee work but my heart stays with Brad Davis. With exception to his appearance in Vinyl (it was the show not the man that turned me off), Bobby Cannavale gives me all kinds of tingles in many many places. And this pic is definitely doing it for me. But like the other poster said, Brad Davis for always and forever, he was amazing.